Seems I've jumped ahead on posting one of my challenges. Yeah, I'm ahead for a change. LOL. Not to worry I'll have them posted in order. I have a new SHOTBOX to help me take better pictures. As you can see at the time of this posting I'm still trying to figure out the lighting. Today is actually the first time I'm using it. I'll post more about the SHOTBOX at another time. 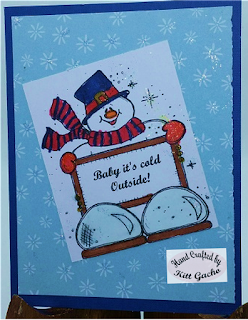 For today's project I used an image from The stamping boutique It is for the challenge over at Crafter Cookie. Be sure to stop by and see what the talented DT has for your inspiration. I used Spectrum Noir markers to color the image. The background paper is from my stash. 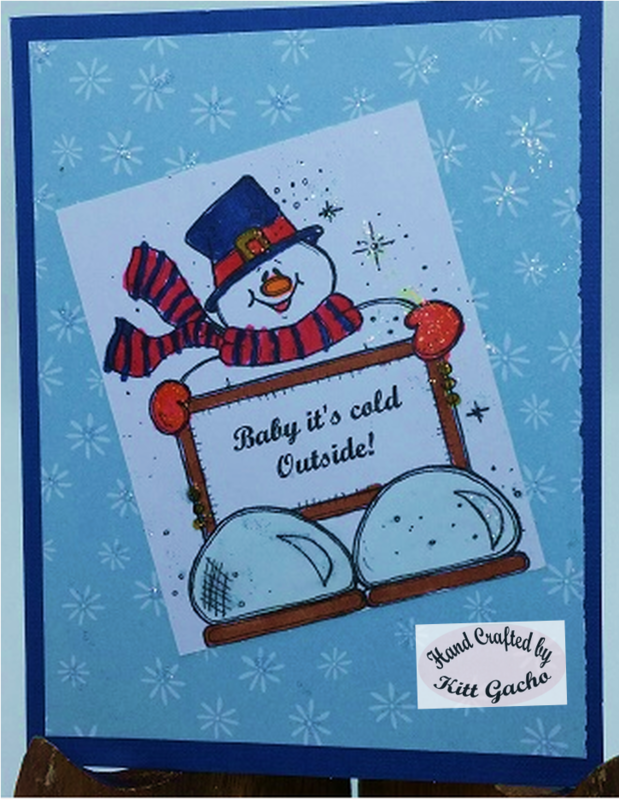 I added Stickles diamonds to various snowflakes for some bling. Thanks for stopping by today and leaving your comments. I look forward to hearing from you. Have a happy crafty day.